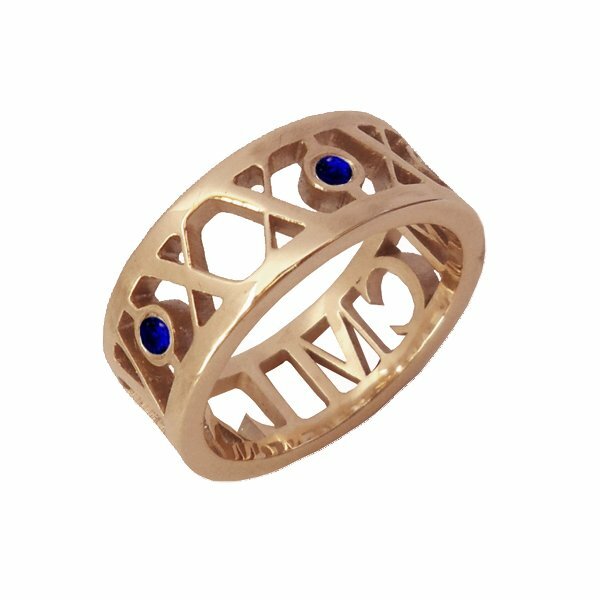 Mark the occasion with this unique, personalised ring! Use Roman numerals to symbolise a milestone birthday, anniversary, graduation - or any important day! Three brilliant 2mm Australian blue sapphires sit between the day, month and year. This ring is also available in silver, white gold and yellow gold. You can select a band width of either 6mm, 7mm or 8mm wide in any finger size above H. Each ring is custom made, so please allow 3-4 weeks for production.